The cutting-edge technology behind Cynosure® TempSure™ Envi can tighten your skin, without requiring you to get a surgical procedure. 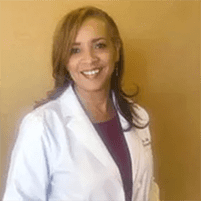 One of Corona, California’s leading aesthetic practitioners, Leita Harris, MD, of Nurturing You Women's Health & Wellness, performs personalized TempSure Envi skin tightening sessions so you can achieve visibly younger-looking skin. Book your skin tightening evaluation by clicking the online scheduler or by calling the office to speak with a team member. Skin tightening with TempSure Envi involves promoting new tissue, elastin, and collagen development solely with waves of energy. As the radiofrequency beams reach the deepest layers of your skin, tissues gradually heat up. This heating effect encourages cell turnover, so older damaged cells get pushed away, ultimately making room for the fresh, new tissues that are forming underneath. Your skin tightening treatment package with TempSure Envi is perfect for smoothing your skin and reducing the appearance of cellulite and crepey skin on your face, neck, abdomen, upper arms, and more. This revolutionary skin tightening solution is even ideal as an alternative to invasive mommy makeover procedures or as a way to tighten loose skin after having liposuction. What happens during a skin tightening treatment? Your TempSure Envi treatment at Nurturing You Women's Health & Wellness is entirely comfortable and painless — no needles or invasive techniques involved. As Dr. Harris glides the system’s applicator over your skin, you start feeling a mild warming sensation. The entire skin tightening treatment takes about 45-60 minutes and requires no downtime. In most cases, you leave the office the same day of your treatment with visibly tighter and smoother skin. Since collagen continues to build up with each passing day, you’re going to continue to notice an improvement in your skin’s tone and texture week after week. How many skin tightening sessions do I need? Your TempSure Envi treatment package from Nurturing You Women's Health & Wellness is entirely tailored to you and is based on the laxity of your skin tissue. Many TempSure Envi skin tightening packages include anywhere from two to four sessions, each spaced about four to six weeks apart. You might experience the dramatic results you want after a single session though. Each TempSure Envi skin tightening treatment is noninvasive and performed right in the office with Dr. Harris, so you can feel confident that your procedure is going to be effective for your needs. Start your path to smoother skin by booking a skin tightening consultation at Nurturing You Women's Health & Wellness today. Schedule online, or call the office directly.